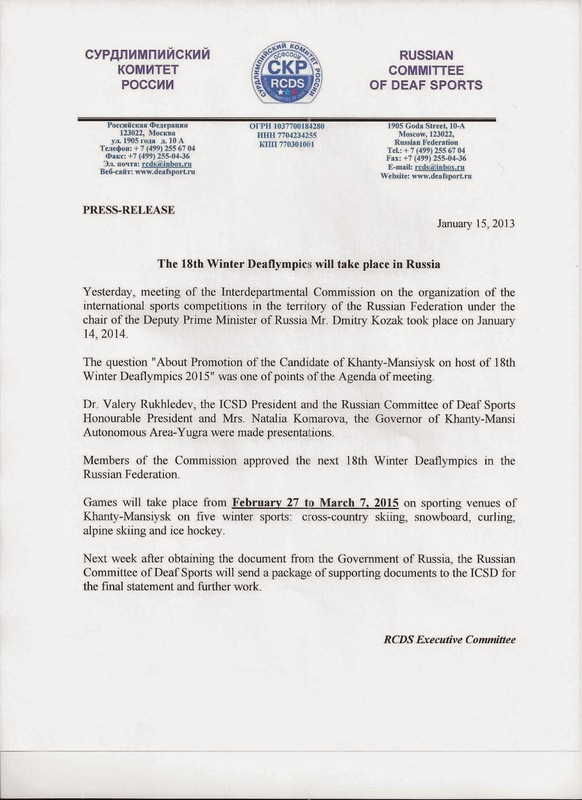 Please see Ban Ki-moon the eighth and current Secretary-General of the United Nations for his comment about 18th Winter Deaflympics! 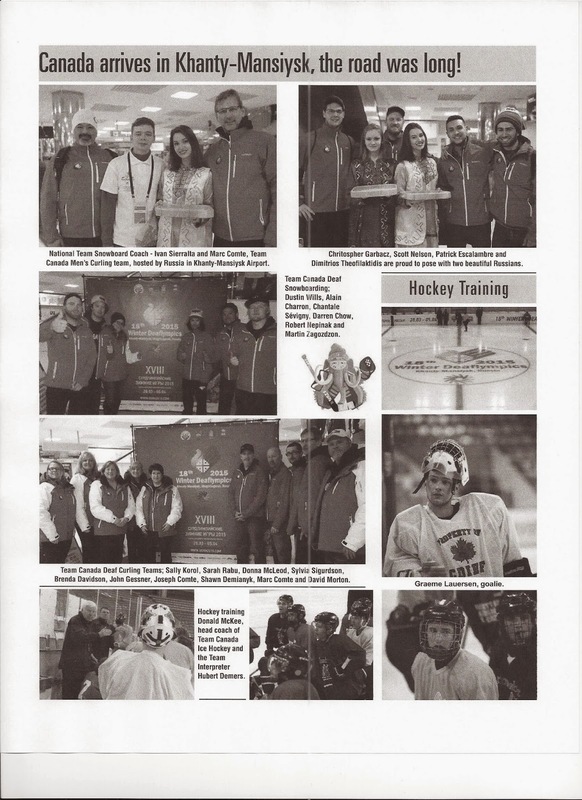 Update about Winter Deaflympic- Tuesday, March 31st! See below for Day 2 score update for Team Canada! 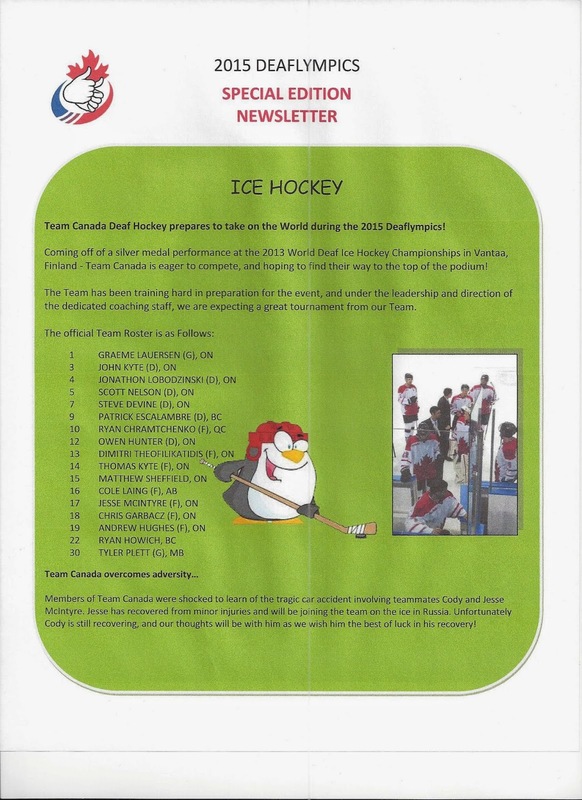 Canada won two games and 1 losses. Both lost the game and will not enter Final. They did a good effort! Wave hands for them! Team won two games with no losses. Yahoo for Team Canada to win some games!! 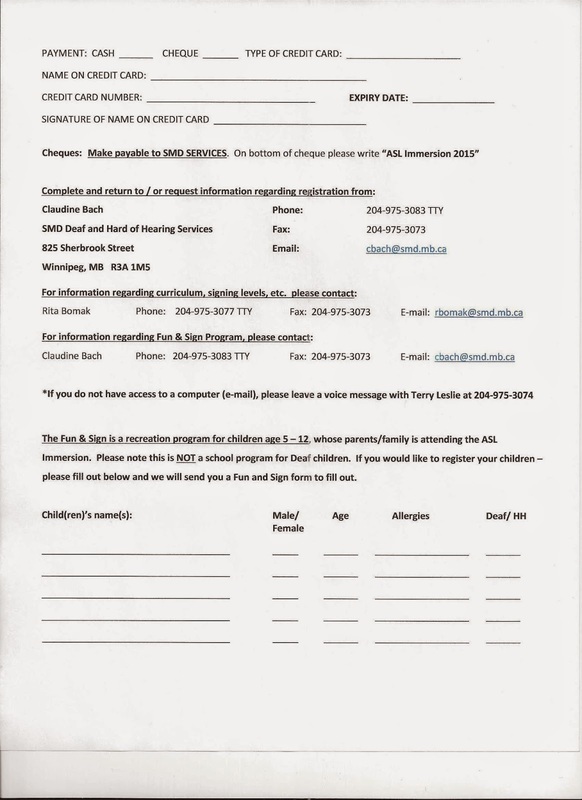 I am pleased to notify you that The Government of Manitoba Proposed Customer Service Accessibility Standard is posted and available for public comment at the Disabilities Issues Office website, www.gov.mb.ca/dio Customer Service is the first area of standard development under The Accessibility for Manitobans Act. When it is established as a regulation, the Customer Service Accessibility Standard will apply to the Manitoba Government, the broader public sector, and the private and not-for-profit sectors. On October 3, 2014, the Accessibility Advisory Council (Council), the body responsible for the development of accessibility standards, submitted its recommendations for an Accessibility Standard for Customer Service to the Minister. The recommendations were the result of a nine month process involving background research, a discussion paper, public consultations, and the Council’s review and consideration of the comments and submissions it received. The Government’s Proposed Accessibility Standard for Customer Service is based on the Council’s recommendations. It is available for public comment for next 60 days. On May 11, 2015, the Minister, in consultation with the Council, will review all comments received. If the minister considers it appropriate, the proposed standard may be revised before forwarding it to Cabinet for final approval, when it will be established as a regulation. You are invited to provide written submission and briefs. 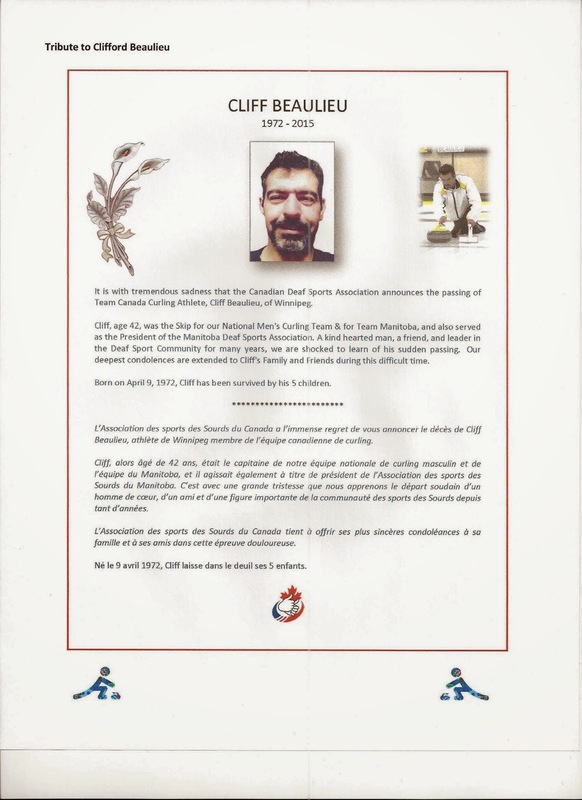 Please forward your comments to dio@gov.mb.ca Please notify the DIO if you require an alternate format or method of communication. Update about Winter Deaflympic 2015- Monday, March 30th! 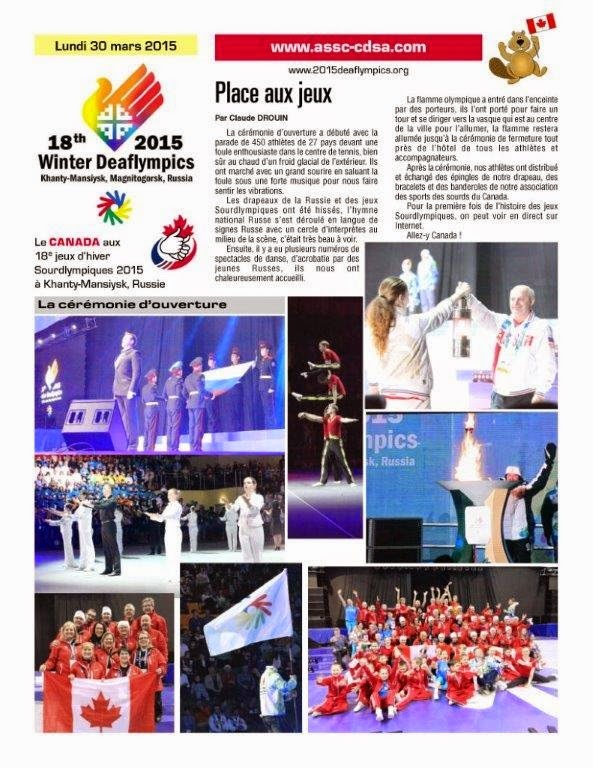 Rita Bomak had made a video for you to know what is happening at Winter Deaflympic. 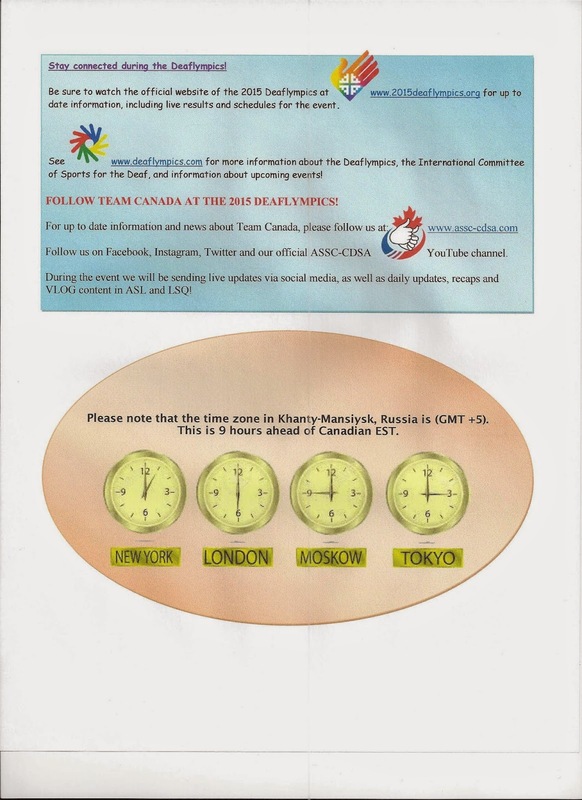 She will keep us update everyday with the scores for Team Canada for some area of Sports. Canada won two games and no losses. Canada lost one game and no win. Will play today's game against Russia. We are looking for people, adult women any age and children ages 0-18, to be part of a short film about Motherhood. They will be asked to appear on camera and sign 2 short phrases. The film is part of a Winnipeg Film Group Showcase pairing actors with filmmakers. This is a Non-Union shoot. Kim Zeglinsky will be performing a poem about Motherhood. Kim is an acclaimed Winnipeg writer/actress who performed her play, Mittschmertz at the Winnipeg Fringe Festival in 2014. We will be shooting a video portrait of each participant and they will receive a digital still portrait. 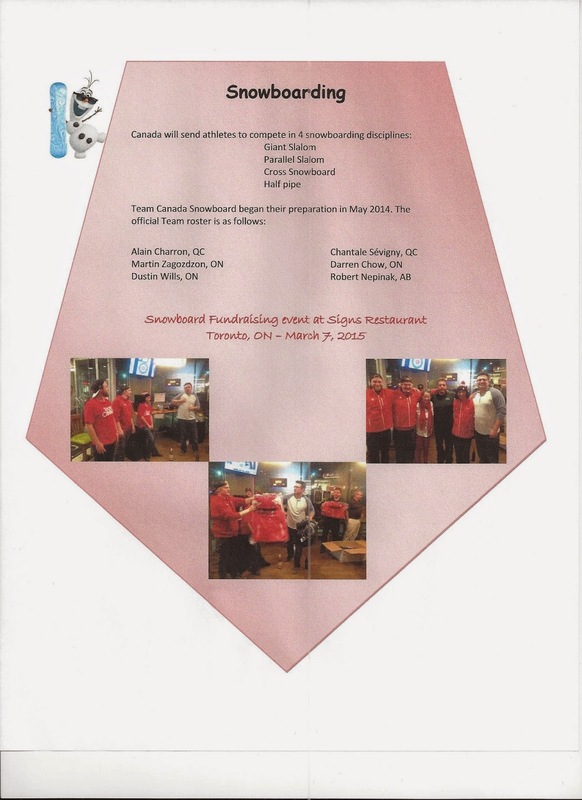 Last Tuesday, Global News was showing airing about Winnipeg Deaf Curlers team to represent Canada at Deaflympics. The Winnipeg Police Service recognizes that some of our most vulnerable citizens at risk of becoming victims of fraud are seniors. Because of this, the Winnipeg Police Service is dedicating this week of Fraud Prevention Month to raising awareness for fraudsroutinely being perpetrated against seniors. One of the common scams is the “Grandparent Emergency” scam. In this scam a person calls a senior and while acting very panicked asks “Grandma” or “Grandpa” for money to help with a problem. “The problem” is often legal, where a fine and lawyer fees need to be paid. The senior then sends money by a money transfer service. The money is then picked up by the fraudster and cannot be recovered. The best way to prevent this is open communication. Call your family and ask if your relative is in trouble. Take time to collect more information before making a decision. Ask advice from someone you trust. Don’t feel pressured into committing before you have a chance to think things over or collect additional information. Don’t give out any personal information to anyone you do not know or trust. Ignore and delete suspicious emails asking for money transfers or personal information. Don’t forget about our main event this Fraud Prevention Month, a FREE shredding event at St. Vital Centre on March 27, 2015 from 11:30 a.m. to 12:30 p.m. Look for the Shred-It van in the parking lot. 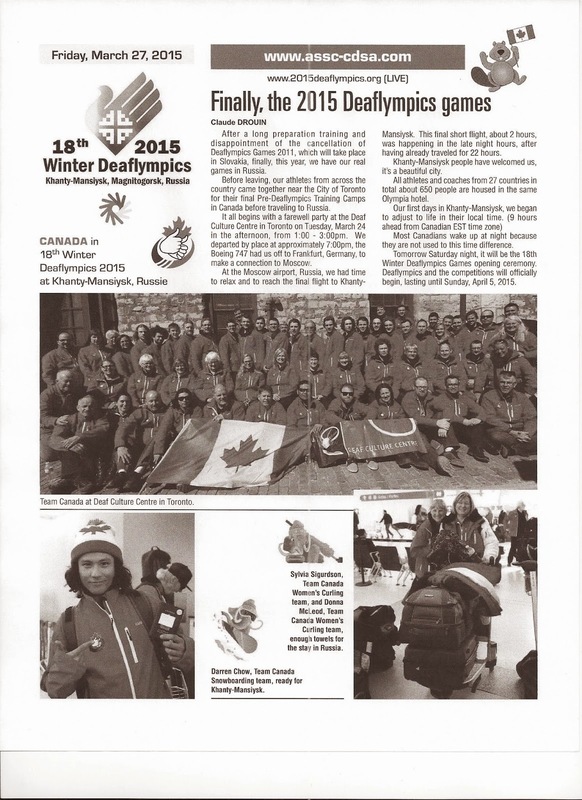 Global News interview with Deaf Manitoba athletes! 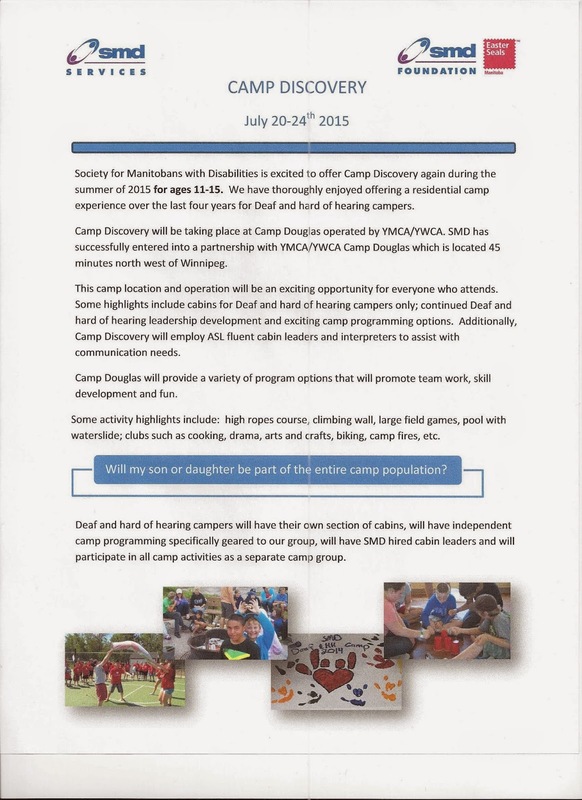 It has come to my attention that Global News (Ch 12) recently interviewed some of the Deaf Manitoba athletes. The interviews will be on TV on Tuesday, March 24 at 6:00 and 10:00 p.m. 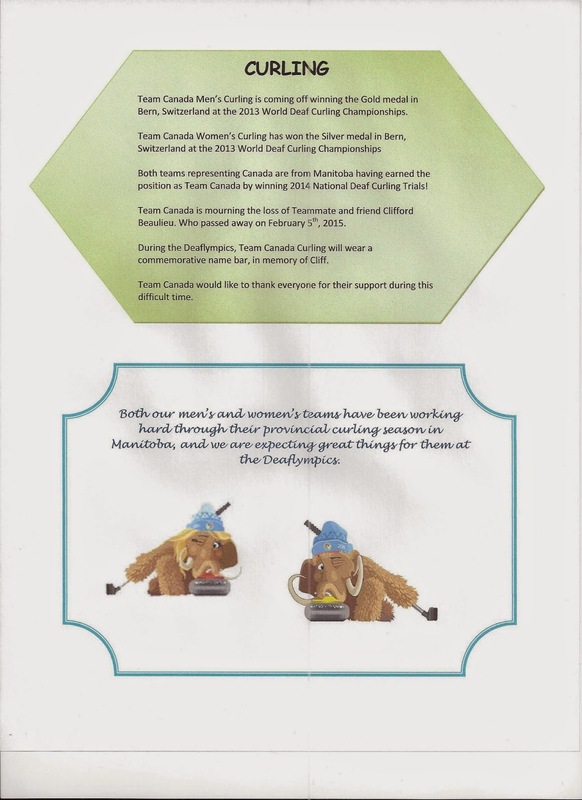 Friendly reminder for wedding social for Shaina Cudmore & Darryl Dumont- April 4th! Wedding social in honour of Shaina Cudmore (interpreter) and Darryl Dumont!! 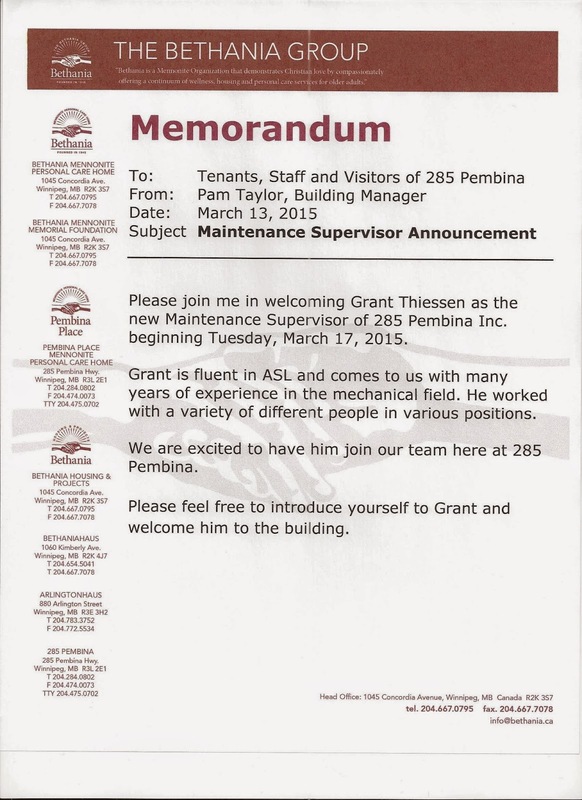 Preference will be given to Aboriginal people, visible minorities and persons with a disability. Employment Equity is a factor in selection. 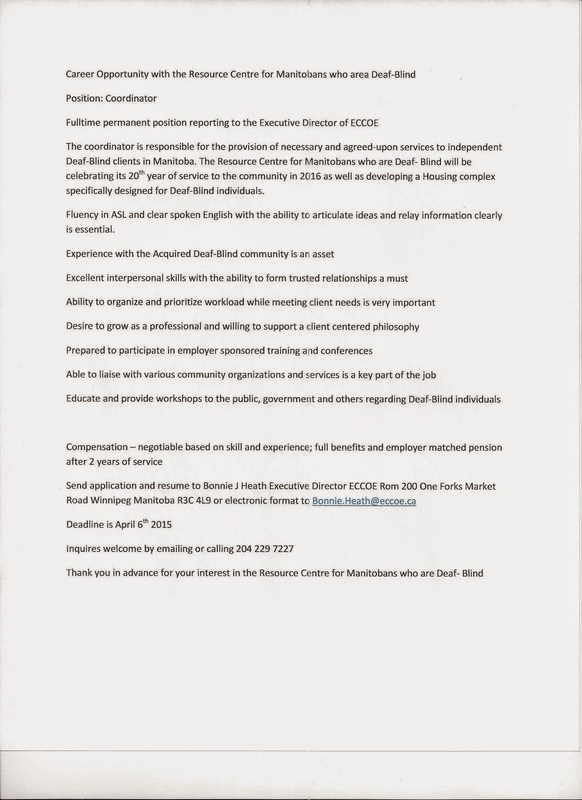 Applicants are requested to indicate in their covering letter or resumé if they are from any of the following groups: Aboriginal people, visible minorities and persons with a disability. 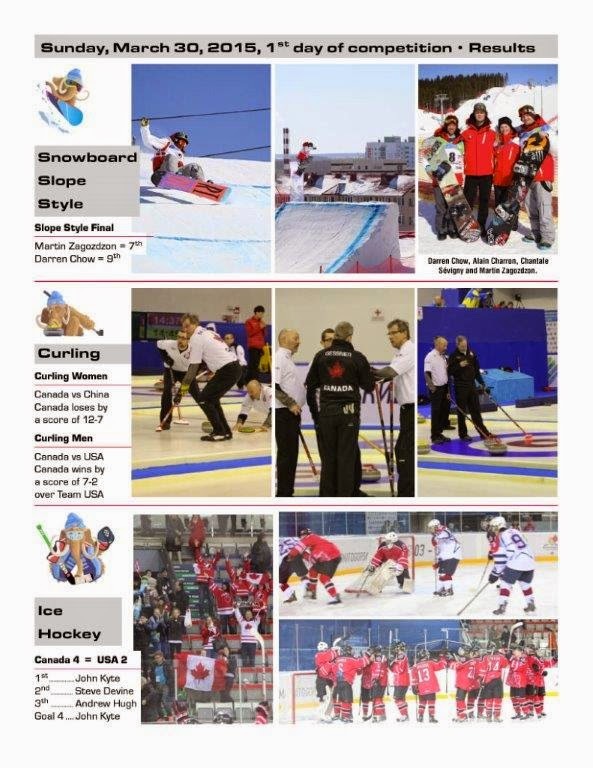 The Disabilities Issues Office's (DIO) vision is a fully accessible Manitoba, where all abilities are valued, diversity and independence are celebrated, barriers are removed and human rights are protected. 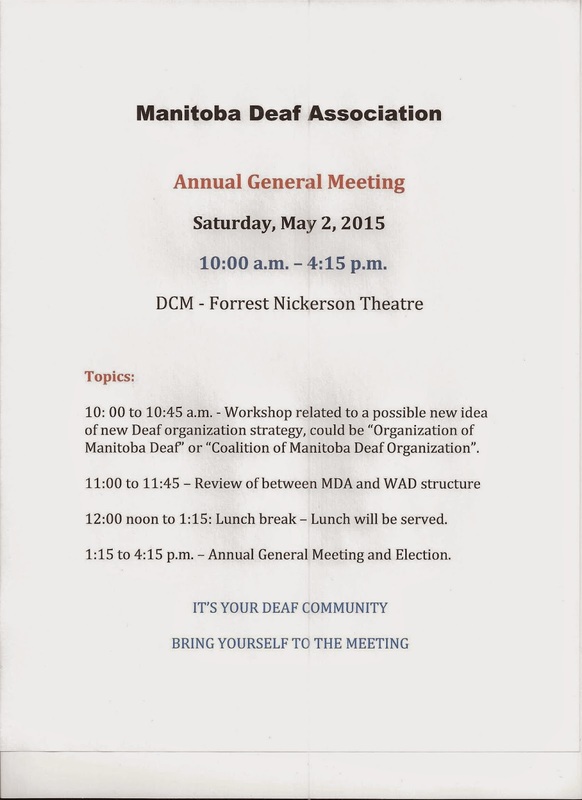 The DIO is providing administrative leadership in the development and implementation of The Accessibility for Manitobans Act. 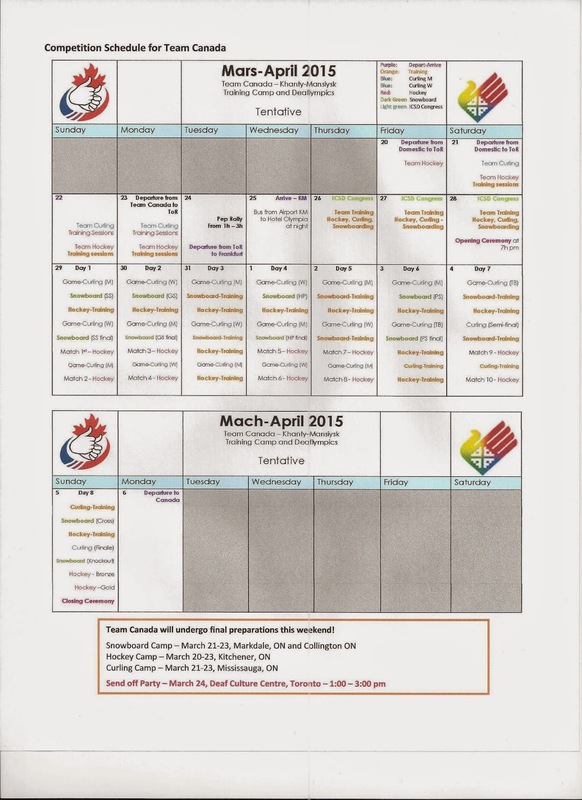 · Must be legally entitled to work in Canada. 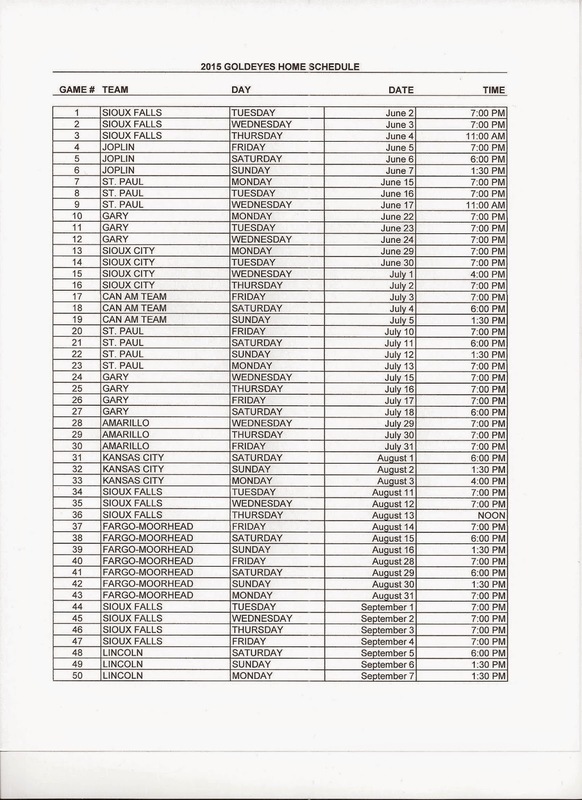 · Must provide a satisfactory Criminal Records Check. 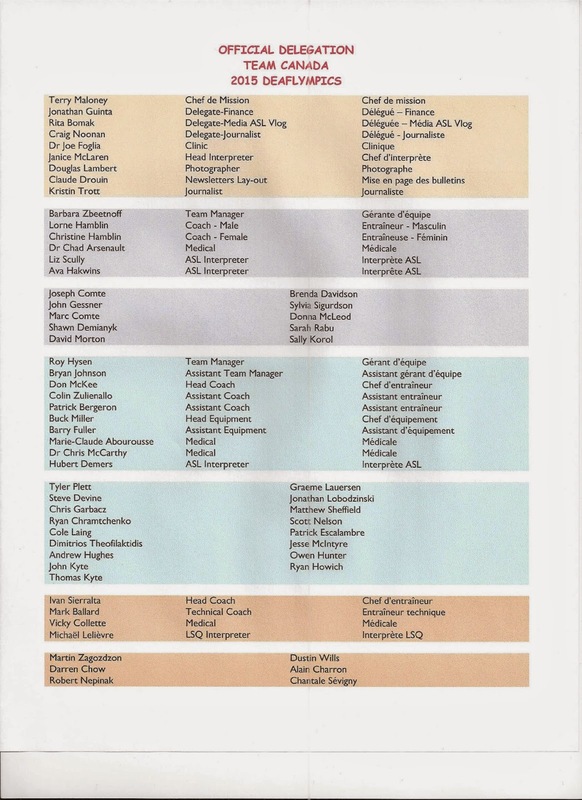 · Post-secondary education, preferably at a Masters level in social sciences, public administration or other related discipline; other relevant combinations of education and experience may be considered. 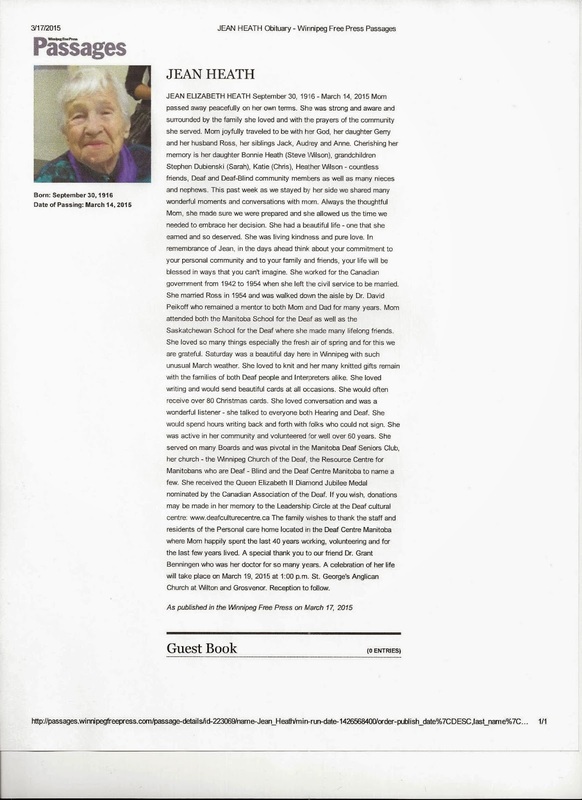 · Ability to write a variety of clear, concise documents and reports. · Experience in social policy and program research and analysis. 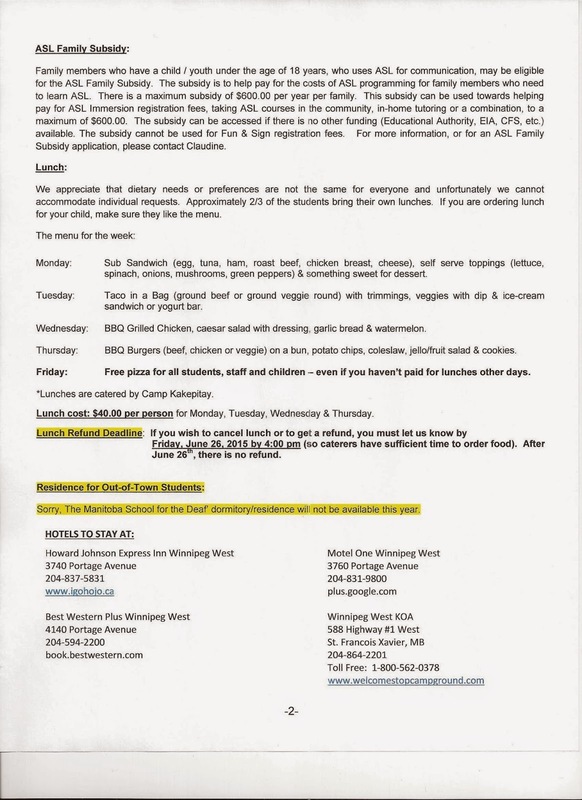 · Experience in the promotion of social programs and services. 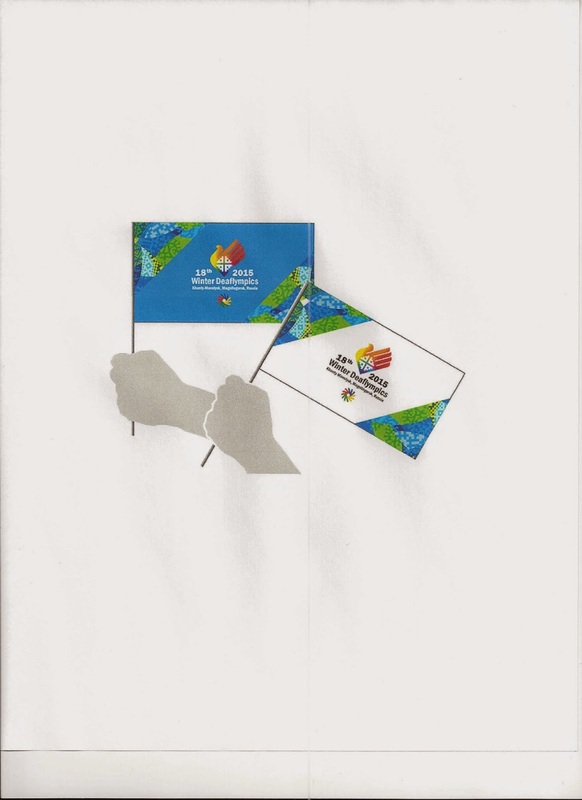 · Experience in the development of resource materials to support social policy. · Strong information management skills. · Superior verbal communication skills. · Ability to work under pressure, managing multiple projects in tight timeframes. · Knowledge of barriers for persons with disabilities in the key areas of daily living. 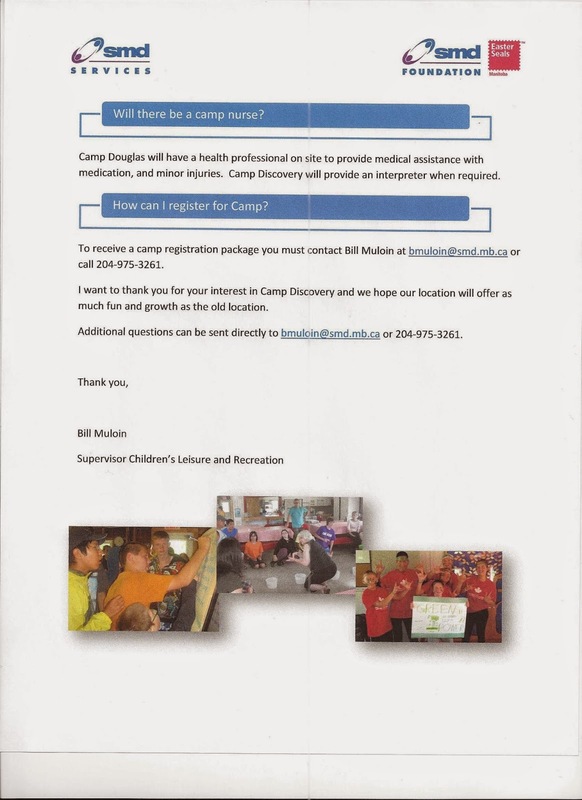 · Knowledge of disability related services. 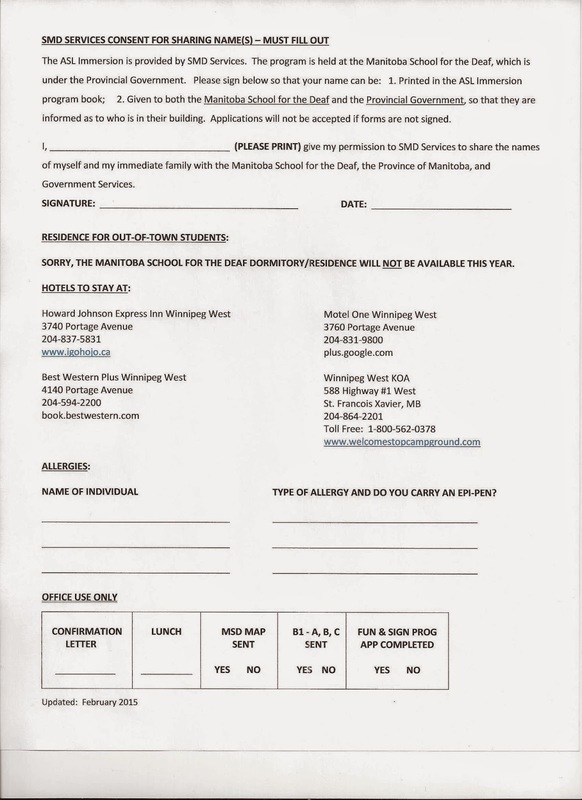 Reporting to the Executive Director, the Policy Analyst provides research policy analysis and promotional assistance to the Disabilities Issues Office as it leads the implementation of The Accessibility for Manitobans Act. The incumbent's work involves representation of government legislation and services to the public and requires depth of understanding, clarity and diplomacy. As directed, the incumbent acts as a liaison with various initiatives of Government or community stakeholders. Employment Equity is a factor in selection. Applicants are requested to indicate in their covering letter or resumé if they are from any of the following groups: women, Aboriginal people, visible minorities and persons with a disability. 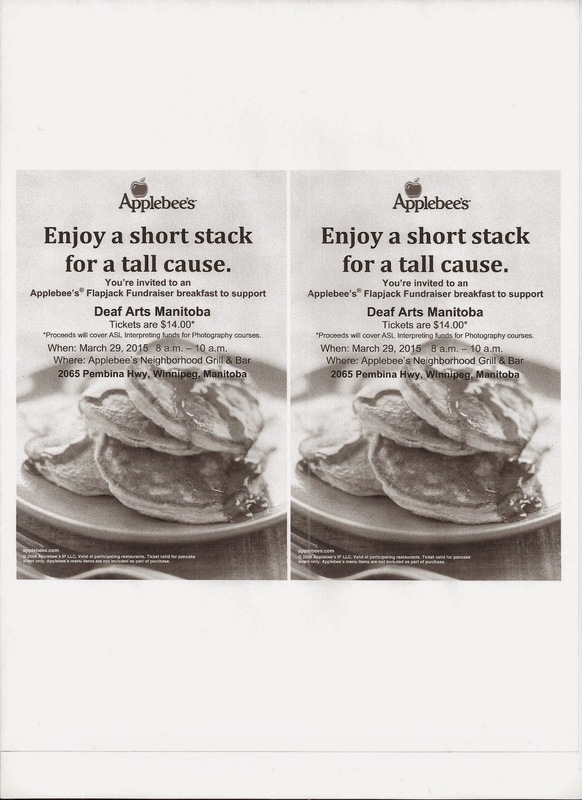 Reminder- Deaf Artist Manitoba (DAM) Pancake Fundraising event-Sat March 29th! 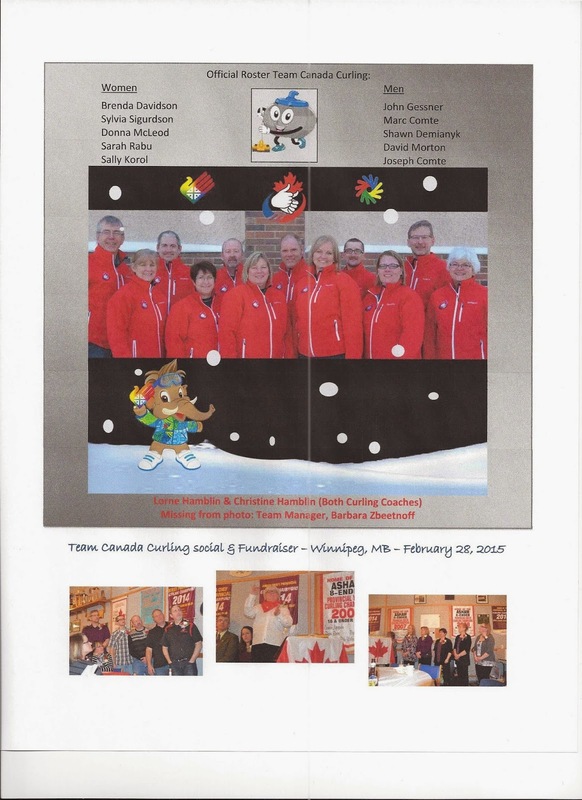 Deaf Centre Manitoba Inc Board & staff would like to wish a GOOD LUCK to Team Canada who will be leaving tomorrow (Saturday, March 21st) for 2015 Winter Deaflympic in Khanty-Mansiysk, Russia for March 26- April 4th, 2015. 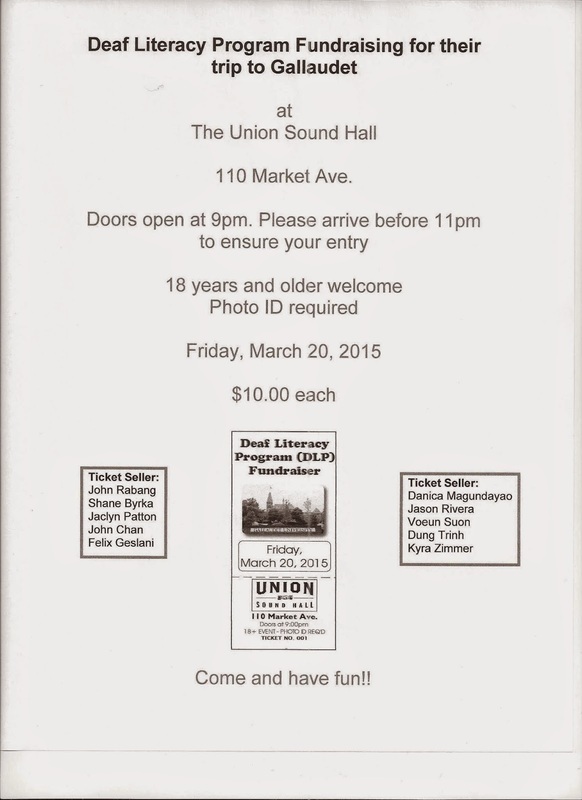 Deaf Literacy Program (DLP) Fundraising event- Trip to Gallaudet- TONIGHT (March 20th!) 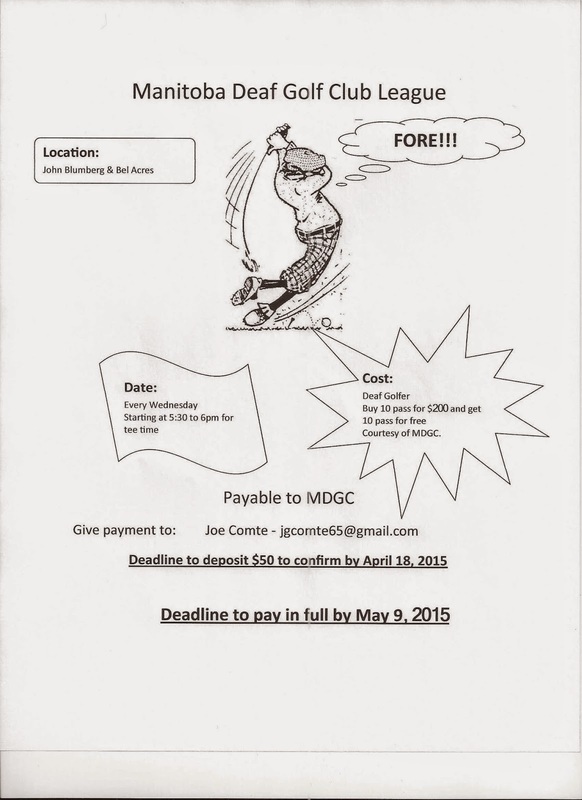 Last Call!!! Frederick News Post interviewed Treeva Gibson about the Voice show! It has come to my attention that Treeva Gibson had another interview with Frederick News Post about her experience on the Voice Battle last night. Congratulation to Treeva for a good job! 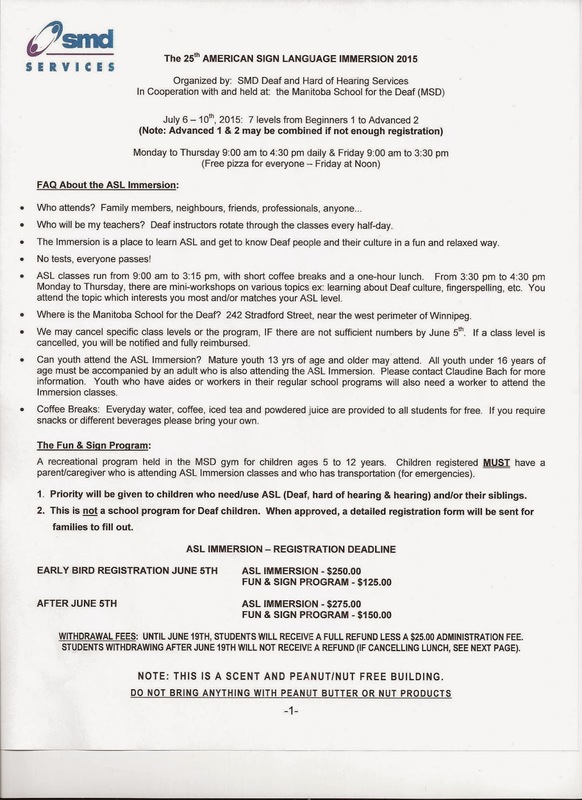 As you all know that Jean Heath had passed away on Saturday, March 14th, Deaf Community has lost a wonderful lady who have contributed so much toward Winnipeg/Manitoba Deaf Community. Celebration of Jean Heath will be held on Thursday, March 19th at 1 p.m at St. George's Anglican Church on Wilton & Grosvenor. 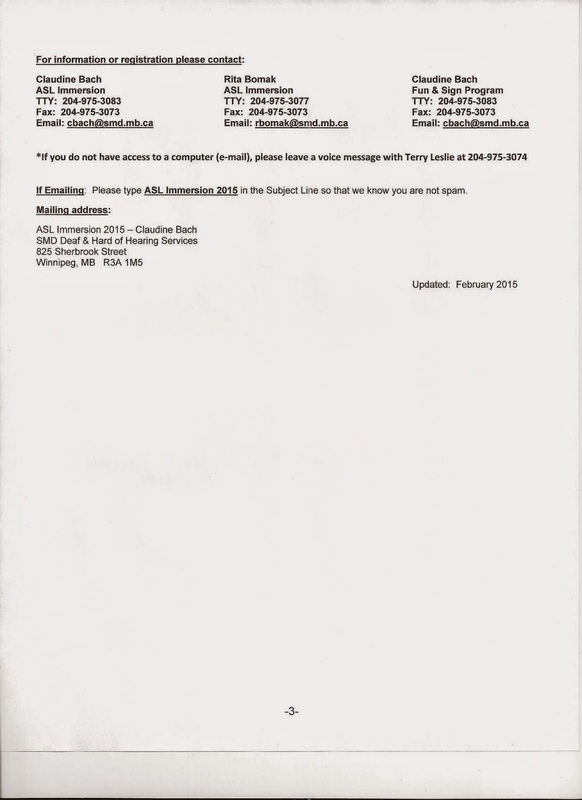 This is a reminder to participate in the survey "ASL teaching in Canada". 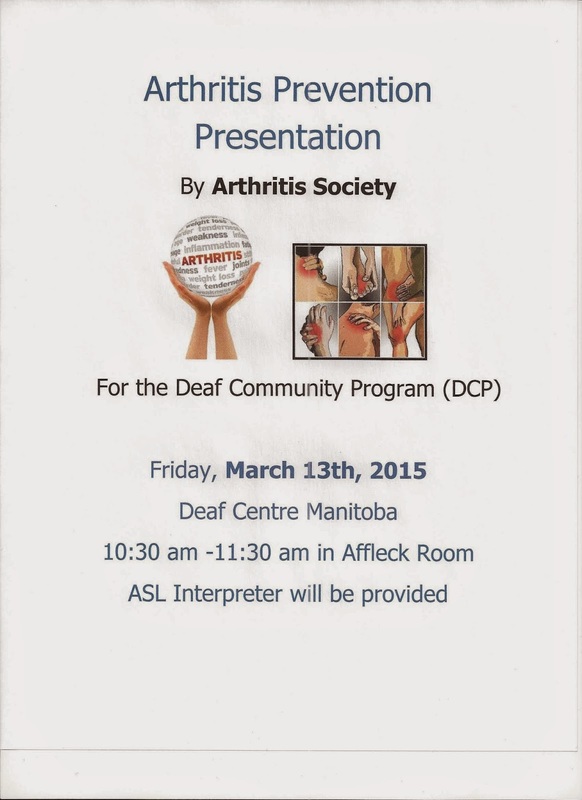 Your participation will provide important information about the wants and needs of your ASL teaching community. The survey will take approximately 15 minutes to complete. There is an article by Huffington Post to explain about Treeva Gibson being on the television called "The Voice" where she made the decision to have a coach. 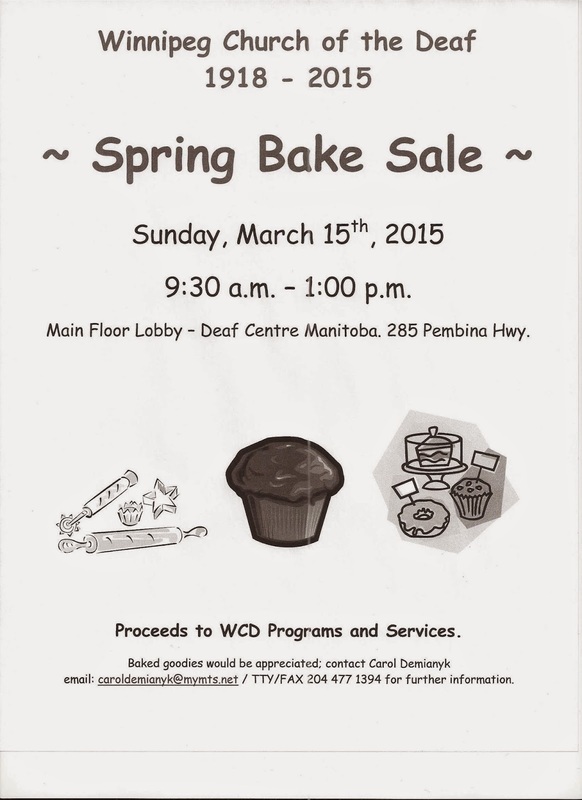 Winnipeg Church of the Deaf (WCD) Bake Sale- March 15th! 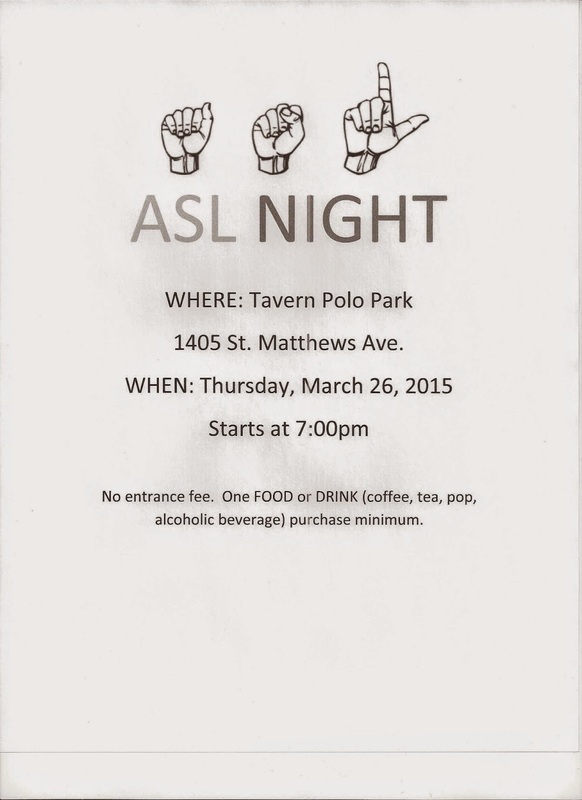 ASL Night for March 26th! 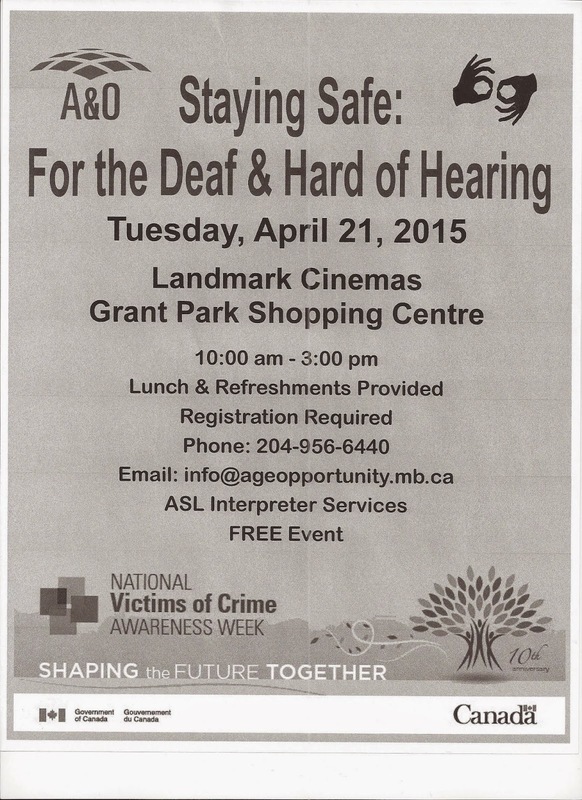 Staying Safe: For the Deaf & Hard of Hearing event for April 21st! 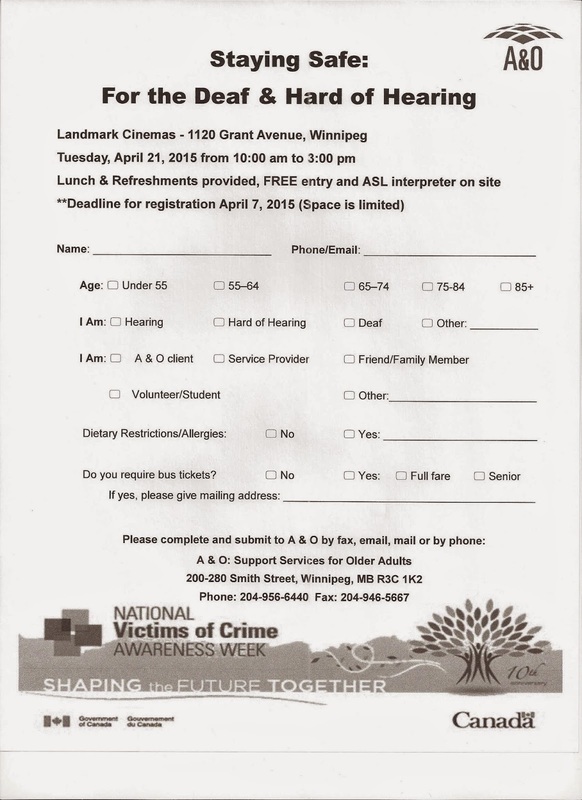 It’s that time of year again and A & O: Support Services for Older Adults will be offering a free full day workshop for older adults (55+), family members, students, volunteers and service providers in support of National Victims of Crime Awareness Week 2015. 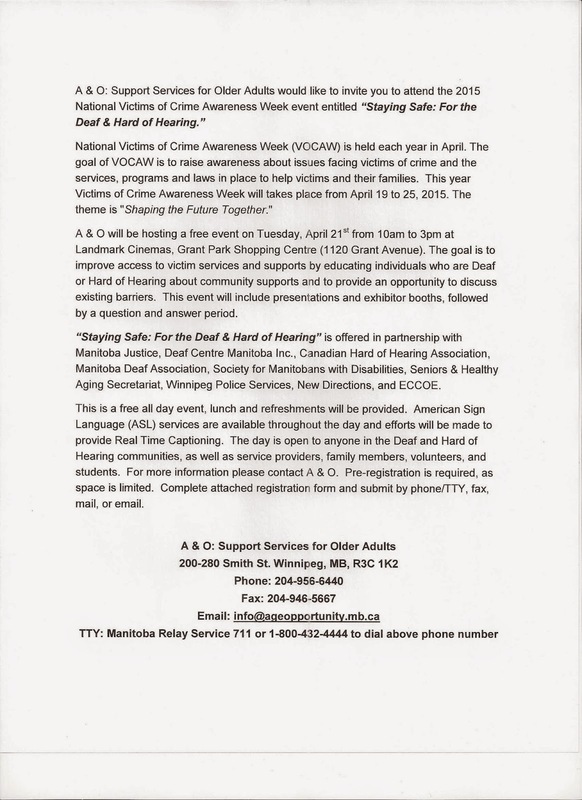 This year’s event will focus on supporting communication between persons who are Deaf or Hard of Hearing and community supports, including the Manitoba Justice System. 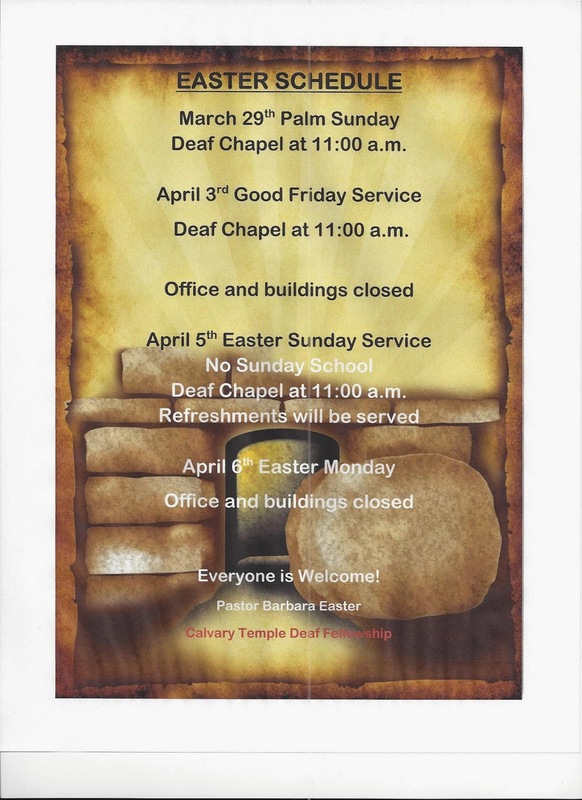 The goal is to improve awareness and community supports by educating individuals who are Deaf or Hard of Hearing about supports in their communities and to provide an opportunity to discuss existing barriers and challenges with service providers. This event will include presentations by community service professionals in this topic area followed by a question and answer period and open discussion related to best practices for service providers. We will also be hosting booths to distribute information about programs and services in the community. 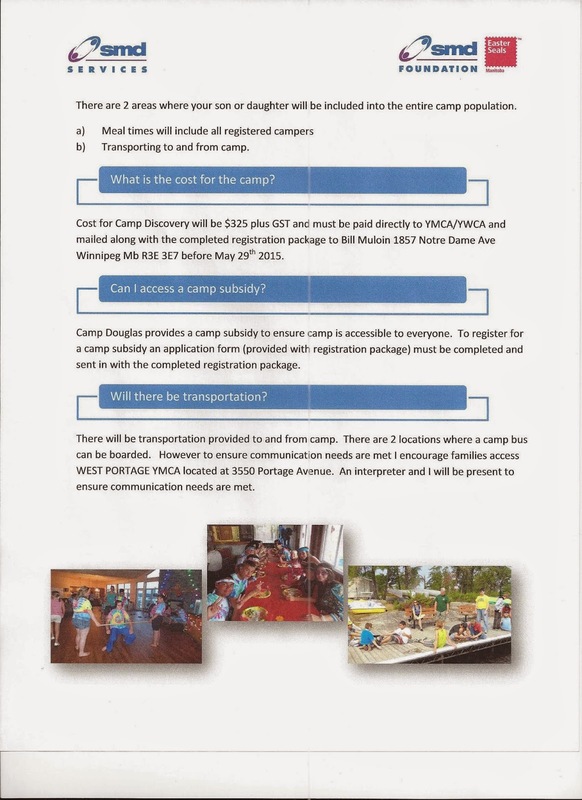 Please see attached poster, including invitation letter and registration form. Please consider taking part in this event and help us to reach as many people as possible by putting up our poster in a high traffic area and distributing this information to your contacts. 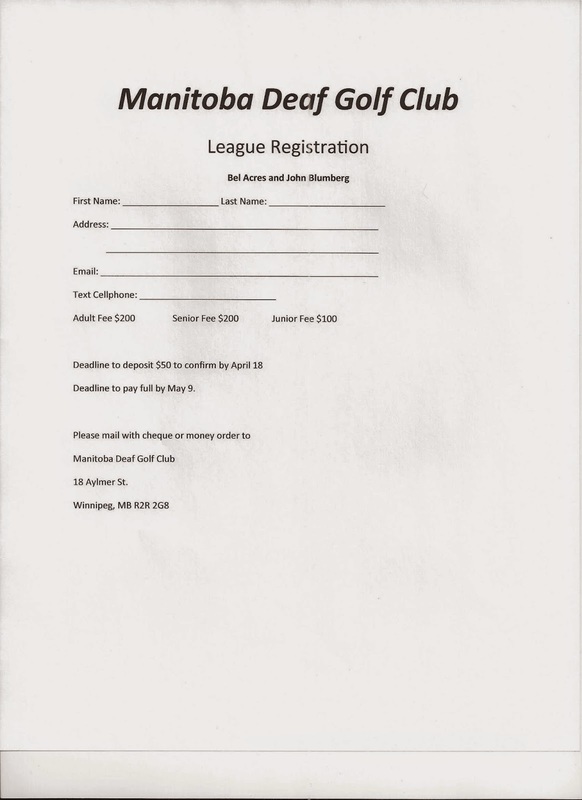 Note that the registration deadline is Tuesday, April 7, 2015. 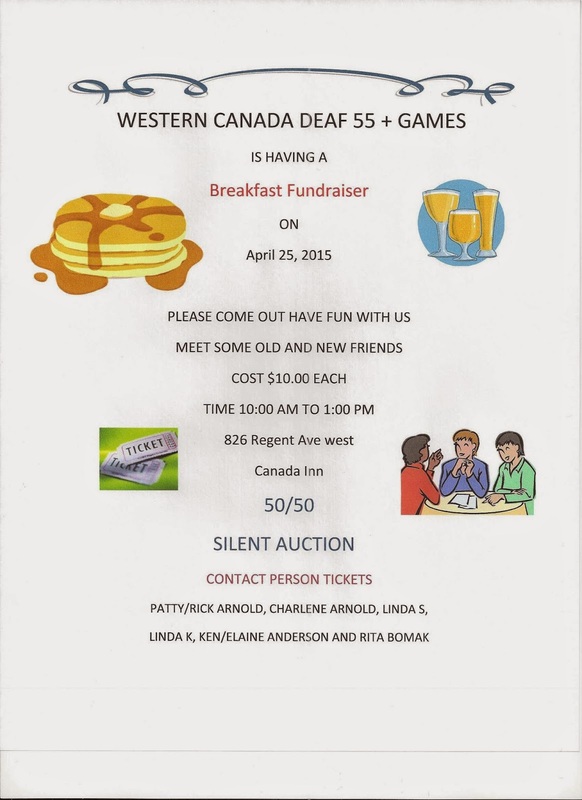 Update information about Deaf Arts Manitoba Pancake event for March 29th.. Come and support them!! 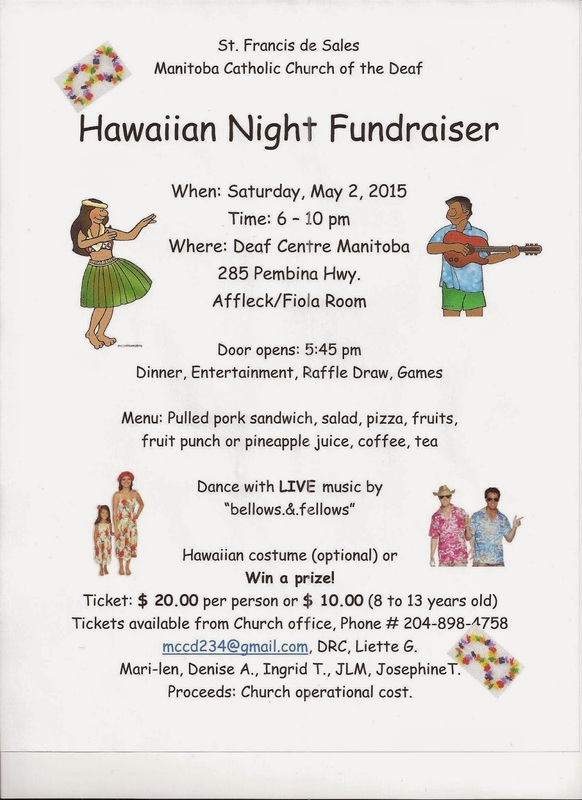 The Deaf photography group is selling tickets for the Flapjack Breakfast fundraiser. 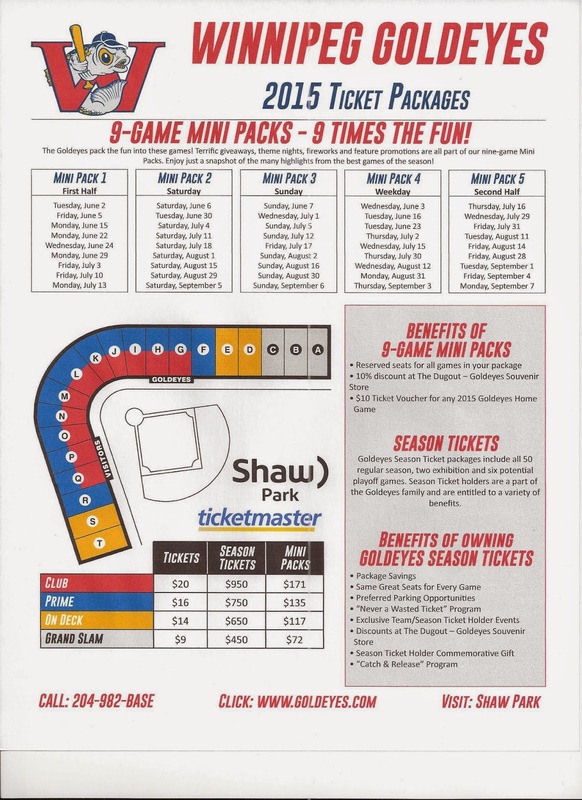 Tickets are $14.00 each and $8.00 for children 5 years old and under. Tickets can be purchased before or until Wednesday, March 25. Tickets will not be available at the door. 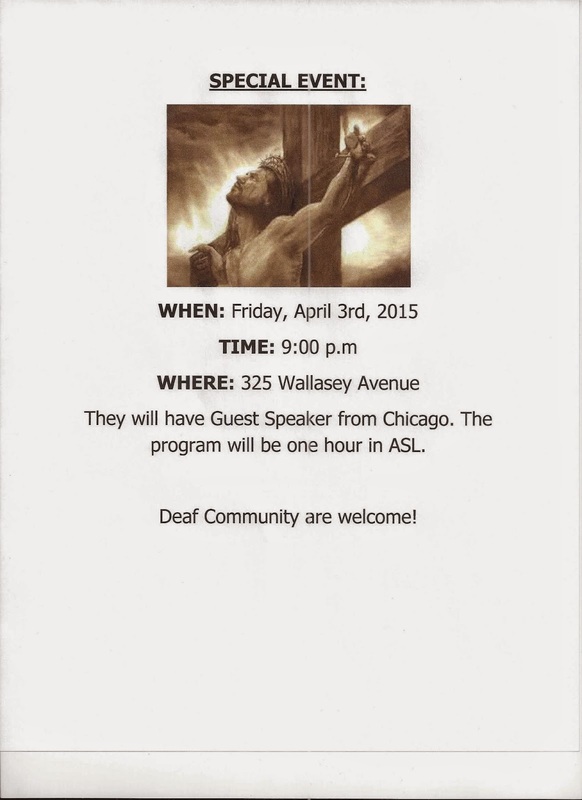 All proceeds will go to ASL interpreting funds for Photography courses level 201. 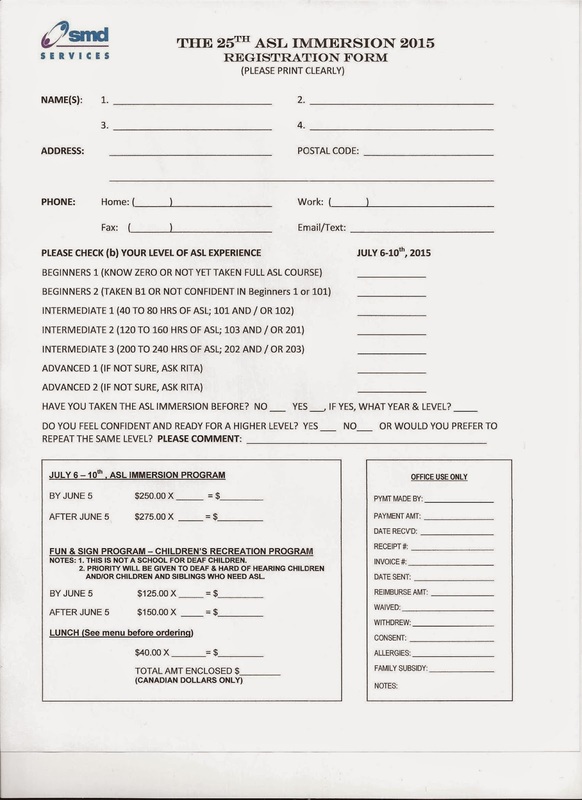 10 weeks Cost: $150 payable at the first session. A minimum number is required to have the session. Please email the instructor if you plan to join the session. All instruction is in ASL. 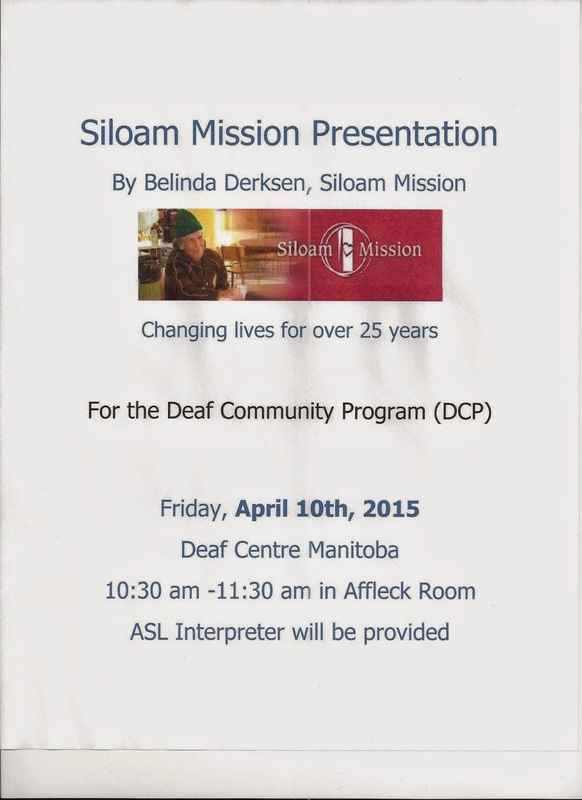 Deaf Literacy Program (DLP) Fundraising event for March 20th!